Marine radar refers to an equipment which is one of the most used on the ship’s bridge by officer of watch (OOW) to carry out a safe navigational watch. Radar is a mandatory aid for navigation, in order to identify and track other ships and land obstacles. Marine radar are classified as x-band with 10 GHz frequency or S-band with 3 GHz frequency. X-band radar being of higher frequency is used for sharper images and better resolution, whereas S-band radar is used in rain or fog and for identification and tracking. Marine radar are compulsory as per International Regulations for Preventing Collisions at Sea. They are electronic navigation devices that use a rotating antenna to transmit a narrow beam of microwaves on the surface of the water that surrounds the ship extending to the horizon. These instruments help detect object by microwaves reflected from them, and display an image of the ship’s surroundings on a screen. Marine radar is of importance for safety at sea and at the shore. The OOW of a vessel need to guide captains to be able to navigate when there is no visibility, or to be able to maneuver within feet in extreme conditions. In marine settings, radars are rarely used alone. In commercial vessels, they are integrated in an array of marine instruments including chart plotters, two-way marine radio, sonar, satellite navigation receivers such as Global Positioning System, and emergency locators. The integration of radar with other marine instruments is important at it is cumbersome to look at a few display screens. Therefore, displays can often cover plot charters, sonar, and radar into a single system. With digital frameworks, in the last years, marine instruments have advanced greatly. For example, the new marine instruments have 3D displays that enable navigators to view above, below, and all around the ship. A marine RADAR is a ranging and detection system that picks up signals from objects several hundred feet or several miles away from your boat. The RADAR system sends out a signal in the form of a sound wave. This pulse is sent out from the RADAR dish on top of your boat. When the signal is reflected by an object, the RADAR computer determines how far away it is and where it is located. A radio wave is transmitted and received back by the scanner. The time is calculated between transmission and receiving back this wave. The speed of the radio wave is known and thus the receiver unit calculates the distance of the target. After processing, it displays this information on the display screen. The rotating scanner also calculates the bearing of the target and displays on the radar screen. It determines the spread, angle, and speed of the object falling within its radius. It is also used to forecast and detect the spacecraft, aircraft, missiles, weather, and other form of vehicles. The report provides and analysis of the market competition that could be experienced by players. The report discusses possible market entry strategies for new participants and business paths that existing players could take. 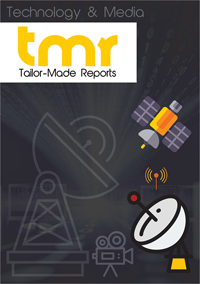 The report is an all-encompassing study of the marine radar industry, its drivers, challenges, and key trends that the market is likely to witness. RADAR was initially developed for defense and military purposes but with upcoming technologies and innovation, it finds its application in air traffic control, astronomy, air-defense system, anti-missiles systems, marine, aircraft anti-collision system, meteorological monitoring, and more. The main factor that is driving the marine radar market is the increasing demand for the weapon guidance and surveillance. The purchasing power of the people has increased which has, in turn, increased the marine tourism thus increasing the demand for pleasure boats and luxury boats which need to be installed with the marine radars. This factor has significantly increased the demand of marine radars in the global market. The government is also supporting by making it mandatory the installation of marine radars in the ships and boats so that marine collision are avoided. Advanced RADAR systems are used for digital signal processing and are helpful to extract useful information from high noise level. Introduction of new types of RADAR system has enhanced the development in technology, thus helping countries when it comes to security issues. Major factors that are driving the global RADAR market are increase in demand for the RADAR system and investment in defense due to increase in security related issues. However, adverse climatic condition, which sometimes results in malfunctioning of the RADAR system restricts the market growth. New types of RADAR systems with different characteristics have emerged recently, which have led to increase in demand for RADAR systems. The different types of RADAR systems are airborne ground surveillance RADAR that through use of the newest ultra-high-resolution RADAR technology can inspect wide areas and stationary targets while at the same time detecting and tracking moving targets at great distances. On the basis of geographical segmentation, the global marine radar market has been segmented into five major regions- Europe, Asia Pacific, North America, Latin America, and the Middle East & Africa. The key market players that are involved in the marine radar market include Lockheed Martin Corporation, Raytheon Company, Raymarine Inc., Terma A/S, West Marine, Furuno Electric Co. Ltd., Northrop Grumman Corporation, Saab Group, Kelvin Hughes, and BAE Systems.